The First Squad reports the details of four arrests for Robbery that occurred on December 11, 2013 at 8:20 PM in Baldwin. Baldwin, NY - December 12th, 2013 - The First Squad reports the details of four arrests for Robbery that occurred on December 11, 2013 at 8:20 PM in Baldwin. According to detectives, a 17 year old male victim was walking northbound on Grand Avenue when he was approached by two unknown male subjects. The subjects demanded the victims’ cell phone. When the victim complied, the subjects walked away with the property. The victim began following the subjects, at which time one of the subjects produced a black hand gun as both men entered an awaiting silver Hyundai with two other male occupants inside. The victim contacted police with a description of the vehicle. First Precinct officers responding to the scene observed a vehicle fitting the description and conducted a vehicle stop. After an investigation officers placed under arrest Marcus Reid, 16, Rahmesh Crosley, 17, both of 736 Grand Avenue, Baldwin, Markane Dixon, 16, and Ryankane Dixon-Harley, 22, both of 35B E. Pine Street, Long Beach. A black pellet gun and the victims’ cell phone were recovered. There were no reported injuries. The defendants are being charged with Robbery 2nd Degree and will be arraigned on December 12, 2013 at First District Court, Hempstead. 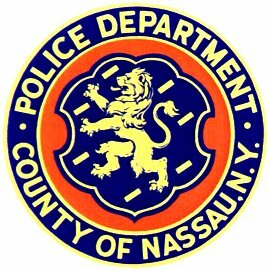 Subject: LongIsland.com - Your Name sent you Article details of "NCPD: Four Arrested for Stealing Teen's Cell Phone in Baldwin"